Did I mention on here that I was having Finding Angel made into an audiobook? Well, I was. And I did. You can now find it at Audible.com and Amazon. The narrator's name is Jeanne O. Whitehouse, and I knew the second I heard her voice that she was Angel. She tackled the job with enthusiasm and was so easy to work with. If you are searching for someone to narrate a teen/YA book with a female protagonist, I highly recommend her. Just go to ACX.com and search her name. I know she's got a couple of projects on her schedule now, but she's worth the wait :). Don't forget: Christmas is coming soon. Audiobooks make great gifts :). Well, so do print and ebooks, too! And speaking of ebooks, my friend Caprice Hokstad has written an interactive children's book called The Adventures of Princess Marina the Mermaid, aimed at kids about ages 4 to 10. It's short enough to read on one sitting, and it's like those "choose your adventure" books where you get to decide what the character does next in certain spot. Meant to be read on a Kindle, or a computer/tablet/phone with the free Kindle app. You choose by clicking links at the end of each section. If you go to Amazon right now, you'll see it for $2.99. But starting tomorrow, it will be FREE. (Free sale runs Wed. Nov 21 thru Fri. Nov 23.) Bookmark it and get it this weekend! I have my copy already, and tested it out on my daughter, who loved it! Congrats on finishing the audio book! 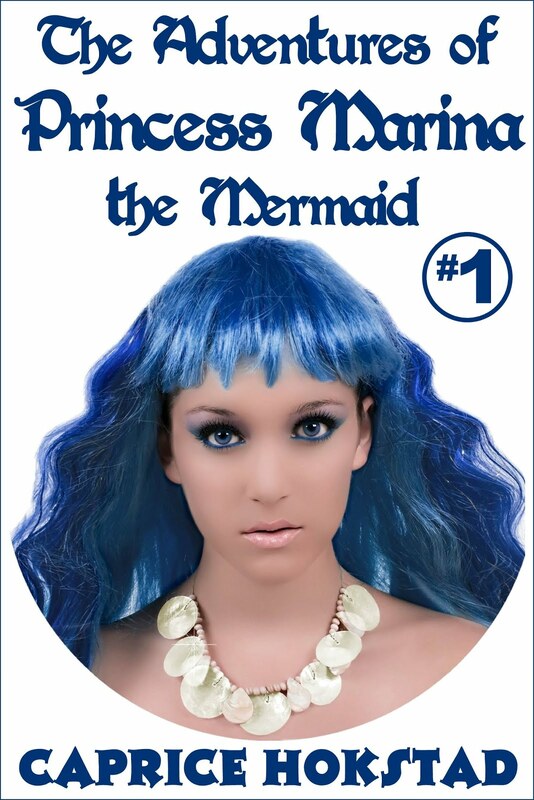 I'm totally going to download the free mermaid book tomorrow. I think my girls will love it. And Happy Thanksgiving to you, too :). Congrats on the audiobook and thanks for plugging Princess Marina! You're welcome! It's an adorable book :).